You can use a computer without a mouse but without a keyboard using a computer is not an easy thing to do. So, it is very crucial to solve non-working keyboard if your keyboard stops working. There are many reasons for the keyboard not working. Try these following solutions to make your keyboard work again. 2. 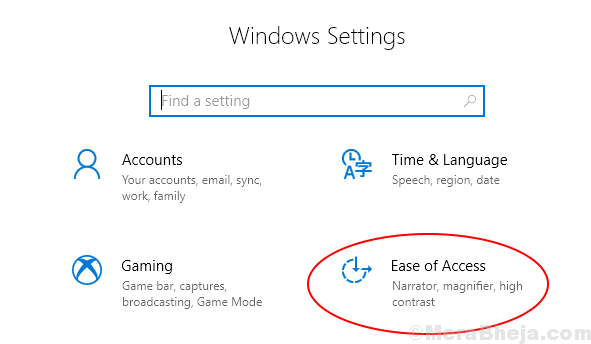 Now, Choose Ease Of access. 3. Now, Click on Keyboard from the left Menu. 4. Now, Make sure that Filter Keys is Turned OFF. 1. Search device manager in Windows 10 Taskbar Search Box. 2. Now, Once the Device manager Opens Up, Locate Keyboards. 3. Double Click on Keyboards to expand it. 4. Right Click on your Keyboard Driver and then Choose Uninstall Device. 5. Now, Reboot Your PC after reinstalling the driver. Sometimes loose connection also results not working of hardware. It is widely known that USB ports loosen with time and give connection errors often. So it is possible that your connection is not proper or your USB port has stopped working. To make sure, plug your keyboard in any other port if available or try the next method. If the keyboard itself is broken or internally damaged then it may be possible that it not working. Go on and plug that keyboard on any other computer and check that it is working there or not. If not working then the issue is with keyboard and you have to replace that keyboard with any other keyboard. If you have a wireless keyboard then it is possible that your batteries have no power left or maybe your wireless adapter is blocked by something. Try to change your keyboard batteries and check that keyboard works or not. Also, check that wireless adapter of the keyboard is not blocked by something or keyboard is not too far from the adapter.